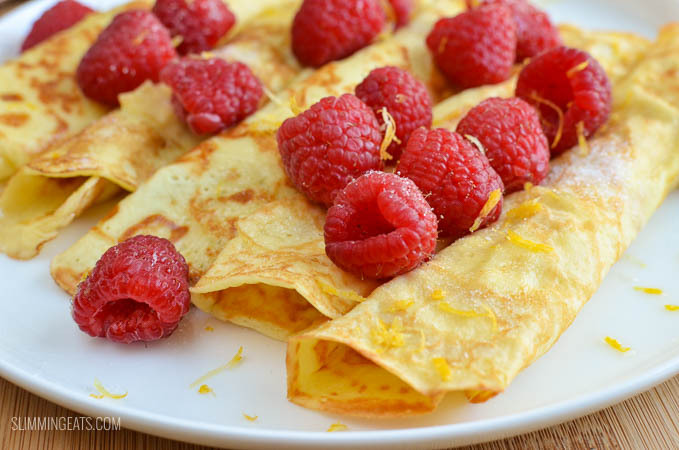 Delicious Low Syn Crepe Style Pancakes – great with fresh raspberries and a little juice and zest of lemon. We all know what day is coming up right? Yep Pancakes Tuesday is nearly upon us, and everywhere I turn there is talks of what kind of pancakes are going to be made. 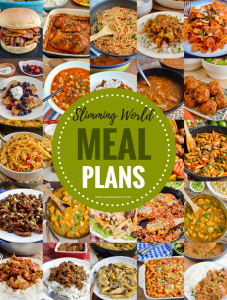 Whether you plan to stick to your syns or allow yourself a day off to fully indulge is entirely up to you. There are so many different versions to be found. 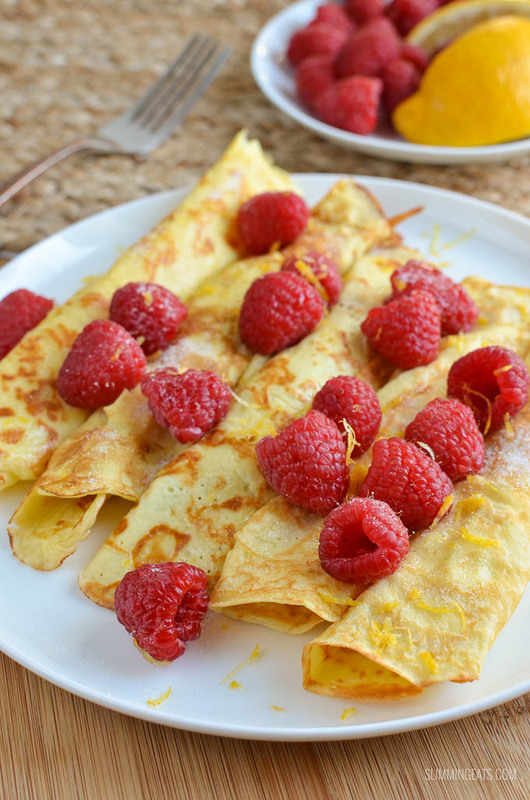 However one recipe I haven’t yet created was crepe style pancakes, so as Pancake day was approaching, I decided to have a go at low syn version that I could enjoy with the usual lemon, sugar and a some fresh raspberries. These are super delicious and really light. You could go for any toppings you like for these, such as melted chocolate, maple syrup, yoghurt, even a fruit syrup or a dusting of icing sugar. 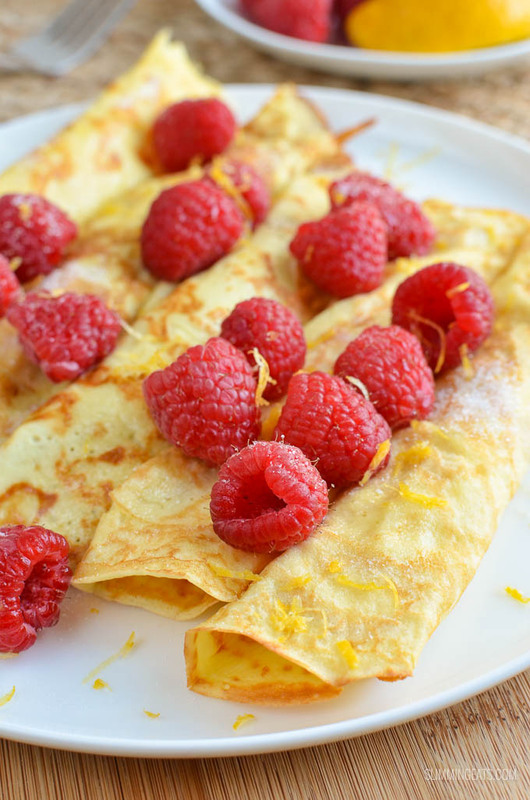 You could even go savoury with these, if you use a plain yoghurt instead of vanilla. Want to know the best part of all? 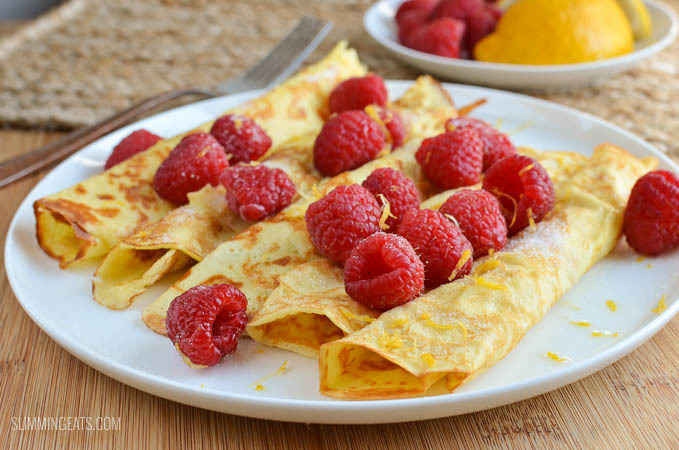 These crepe style pancakes, do not use any healthy extra’s, so are perfect for when you fancy pancakes but do not have a healthy extra spare. The crepe style pancake batter makes about 4-5 crepes, depending on how big you swirl the mixture out. Make sure you keep your pan on a really low heat, and use a good quality non stick pan. Patience is key, don’t try to flip too early. I had mine on above 4 (on my electric hob), 9 being the highest. I used a coconut spray oil for these, spraying the pan a little for each pancake to help prevent sticking and it worked a treat. 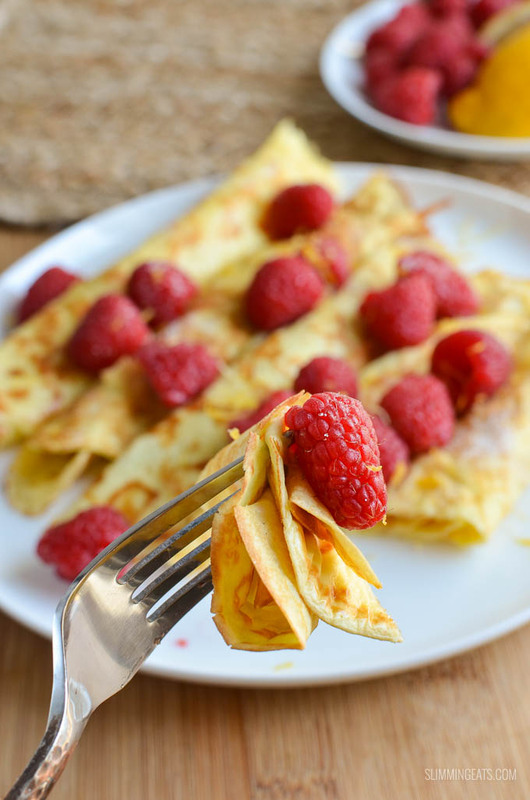 So now you have a delicious low syn crepe style pancake recipe to use, how will you serve yours? Add the flour, eggs, yoghurt and salt to a bowl and whisk to combine. Pour a little of the mixture onto the pan and swirl around so that it makes a thin crepe style pancakes. Allow it to lightly brown on one side, you can carefully check with a spatula, for doneness, it will lift and flip easily when done on one side. 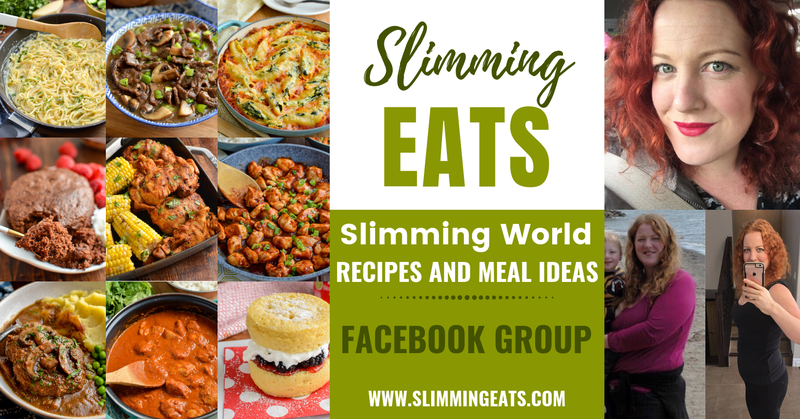 There are some slight variations in syn value of All purpose flour, the one I use is 2.5 syns for two level tablespoons, others are 3 syns, so double check one you use. So many other variations for you to choose form. Hi, I tried this recipe but it did not work. The mixture just heated up in the pan but didn’t Cook, please could you give me some pointers. In the end I left it for 20 mins and it still didn’t Cook. No idea why they are not working for you then I’m afraid . I have made them several times now with no issue. I’ve had lots of members tag me with their pics of them on Instagram and Facebook too. Maybe your heat is too low if it isn’t cooking . Have you got a good quality non stick pan and are you following the measurements exactly? I’ll try and get a video posted of them step by step soon. Perhaps that will help you see where you are going wrong. Can’t believe the other person said they wouldn’t cook, of course they will cook, so yummy. Well they didn’t cook for me, I’m not making up. I’m trying these for dinner tonight with loads of fresh fruit and maybe a few squirts (synned of course) of golden syrup. Thank you for yet another brilliant recipe. Hi. I tried these but they stuck to the pan. Is it my pan or am I trying to cook them on too high. it could be either, a good non stick pan is definitely needed, but you also don’t want the heat too high, try not to flip until the underside is fully set. Could I replace the yogurt with milk from my HEA? you can but you may need to use a little less.